On the blog today we look at our announcement that the UK will be introducing a ban on ivory sales, our work to crackdown on littler louts, an 84% rise in UK chocolate exports and a new Livestock Information Service. There is widespread positive coverage today of our announcement the UK will introduce one of the toughest bans on ivory sales in the world. The Government is publishing the response to its consultation on a UK ivory sales ban, and confirming robust measures that will be brought into force through primary legislation. The move features on the front page of the Telegraph, as well as in The Times, The Guardian, Daily Mail, the Independent, the I and the Daily Express. Broadcast coverage ran this morning on BBC Breakfast, Good Morning Britain and BBC R4 Today. Ivory should never be seen as a commodity for financial gain or a status symbol, so we will introduce one of the world’s toughest bans on ivory sales to protect elephants for future generations. The ban on ivory sales we will bring into law will reaffirm the UK’s global leadership on this critical issue, demonstrating our belief that the abhorrent ivory trade should become a thing of the past. Several stakeholders and NGOs have reacted positively to today’s announcement, including the WWF, Tusk Trust and World Conservation Society. We are delighted that the Government has listened to our concerns and given the overwhelming public response to their consultation is now moving decisively to introduce tough legislation to ban the trade in ivory in the UK. The narrowly defined exemptions are pragmatic. The ban will ensure there is no value for modern day ivory and the tusks of recently poached elephants cannot enter the UK market. We welcome the fact that Ministers are sending such a clear message to the world that the illegal wildlife trade will not be tolerated and every effort will be made to halt the shocking decline in Africa’s elephant population in recent years. 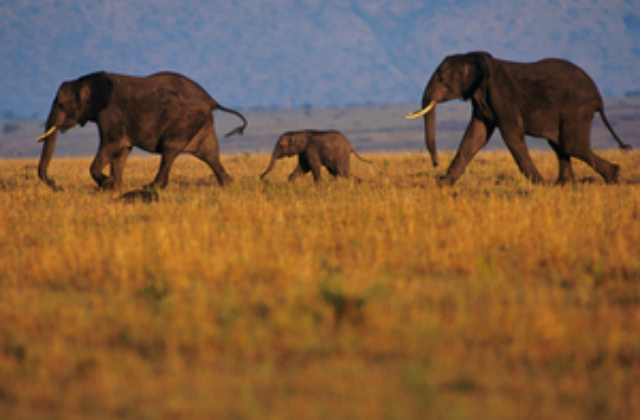 Around 55 African elephants are killed for their ivory a day, their tusks turned into carvings and trinkets. This ban makes the UK a global leader in tackling this bloody trade and it’s something WWF has been fighting hard for. But if we want to stop the poaching of this majestic animal, we need global action. We hope the UK will continue to press countries where the biggest ivory markets are, most of which are in Asia, to shut down their trade too. Legal domestic ivory markets are intrinsically linked to the illegal ivory trade that is driving the current poaching crisis. With almost 20,000 elephants poached in the last year, it is vital that countries take significant steps such as those outlined by the UK government today to close their markets and help make the trade in ivory a thing of the past. No one in the UK today would dream of wearing a tiger-skin coat. Thanks to this move, in a few years’ time we believe the same will be true for the trade in ivory. This is a significant day for the future of elephants. The UK government has taken a momentous step. The proposed ban, with its narrow and clear exemptions, places the UK at the forefront of the international determination to halt the extermination of elephant populations by banning trade in ivory. The Secretary of State for DEFRA has shown clear leadership in demanding legislation whilst there is still time to secure a future for elephants in the wild. The end of the ivory trade in the UK removes any hiding place for the trade in illegal ivory, and sends a powerful message to the world that ivory will no longer be valued as a commodity. Ivory belongs on an elephant and when the buying stops the killing will stop. We congratulate the UK, and now urge the European Union to adopt its own domestic ivory market closure and enact the strongest ban possible that can match that announced by the UK. There was widespread positive coverage over the weekend including BBC online, Independent, Sun, Daily Mail, Sunday Express, and Sky News of our work to crack down on litter louts by giving councils the power to almost double on-the-spot fines to £150 for littering offences, plus new powers to give penalties against vehicle owners if it can be proved litter was thrown from their car. Minister Coffey appeared on BBC Breakfast and was clear however that councils must not abuse the power to impose penalties, and should take into account local circumstances when setting the level for these on-the-spot fines. 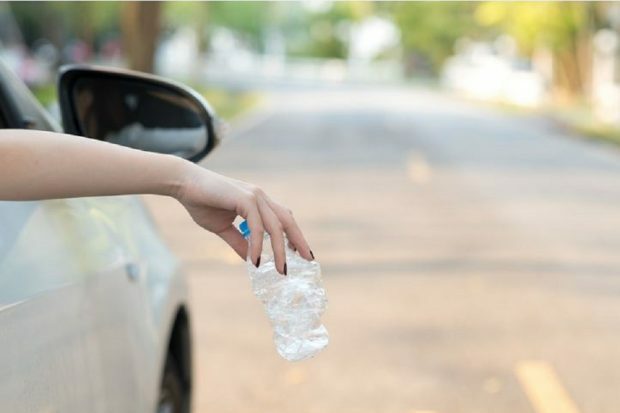 These new fines will tackle antisocial behaviour by hitting litter louts in the pocket, whether it’s litter that is thrown from a vehicle or dropped in the street. Littering is a scourge on our environment and we waste taxpayers’ money cleaning it up – funds which could be better spent in the community. We want to be the first generation to leave our environment in a better state than we found it, and I encourage everyone to take responsibility for their litter and recycle more. There is no excuse for car litter louts. Tossing rubbish from vehicles spoils the environment, costs millions and puts road workers’ lives at risk when they have to clear up. The majority of our members support higher fines for littering and we welcome these steps to tackle this unnecessary problem. It is not difficult for car occupants to bag it and bin it. When AA employees have conducted litter picks and our members have surveyed local roadside litter, we are always astonished at the number of plastic bottles, take-away wrappers and even kitchen sinks discarded at the roadside. The announcement builds on a range of new measures to tackle waste including banning microbeads, proposals to extend the 5p plastic bag charge, and plans to introduce a deposit return scheme for drinks containers. 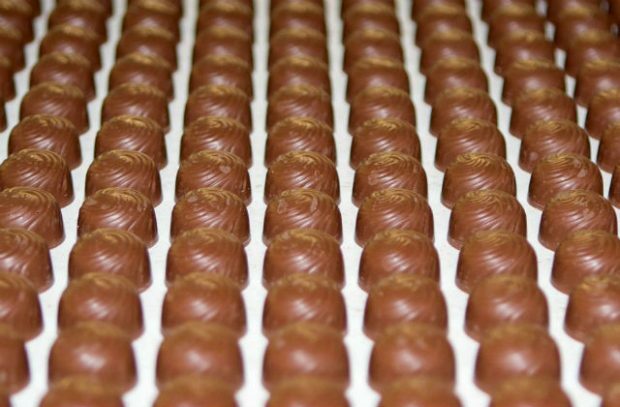 There has been positive coverage over the Easter bank holiday about growing exports of UK chocolate. Reported by the Sun on Sunday, Sunday Telegraph, CITY A.M and China’s Global News global sales of British chocolate is worth nearly £680 million - rising significantly from £370 million in 2010, up by 84% rise. The number of independent chocolatiers in the UK is also growing, with more artisanal and specialised products being launched to meet consumer demand – both here and abroad. The manufacture of cocoa, chocolate and sugar confectionery is now worth £1.1 billion to the UK economy. There has been a huge growth in the number of independent chocolatiers in the UK and they are very adept at creating delicious products that are shaping consumer tastes around the world. There are great opportunities to increase our food and drink exports and increasing market access around the world is a major focus for government. The government is supporting many small businesses to take advantage increasing tastes for UK chocolate helping them explore export opportunities in the 149 worldwide markets that currently import UK chocolate. Many of the largest customers are European – the Netherlands, Germany, France and Poland completed the top five destinations. Today we have announced the go-ahead for a new Livestock Information Service to give farmers and processors accurate information about animals and their movements. The new service, operational from 2019, will provide the foundation for some of the best farm to fork traceability in the world when the UK leaves the EU. Identifying and tracking animal movements via electronic IDs (initially dairy cows, cattle, sheep, pigs and goats) also means we will be better-placed to respond in the event of a disease outbreak. Today’s announcement follows significant contributions from industry stakeholders over the last year through a partnership called the Traceability Design User Group (TDUG). This service will be instrumental in improving traceability and providing guarantees to consumers about the origin of their food. NFU President Minette Batters, among others, has helped lead the way on this, showing how it will drive a progressive and vibrant livestock industry once we leave the EU. Working hand-in-hand with industry, we will design and implement a service that puts food safety, animal health and welfare and environmental enhancement at its core. Government and industry ambitions are aligned in understanding the need for and benefits of a single digital multi-species livestock traceability and information service. 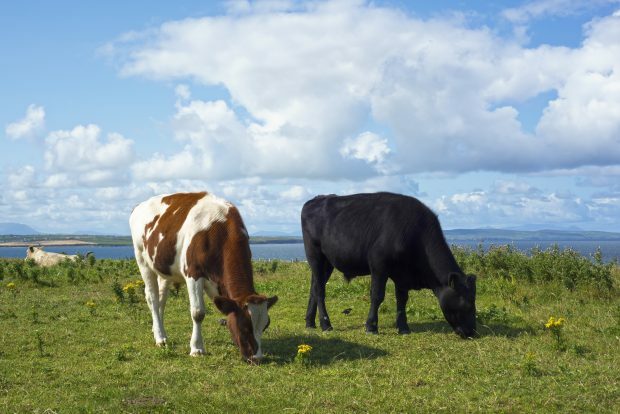 The best use of proven modern technology will make it simple for farmers, food chain companies and government to use the service and reap the benefits of shared data that will put the UK livestock industry on the front foot as a global trading partner. It’s essential that government and industry work together and this a great example of what we can achieve when we do. I feel that this is totally transformational, underpinning our reputation in producing some of the best meat and livestock products in the world. It’s a win for government, a win for team agriculture and, most of all, it’s a win for the consumer.